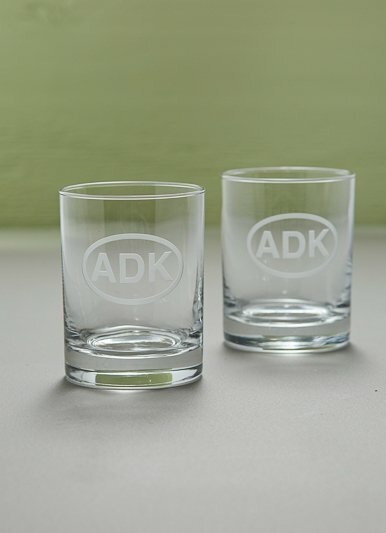 Our exclusive ADK rocks decorative drinking glasses are the perfect drinking vessels whether your cocktail hour happens within the great Adirondack park or the other side of the world. Feeling a little nostalgic for your home away from home in the mountains? 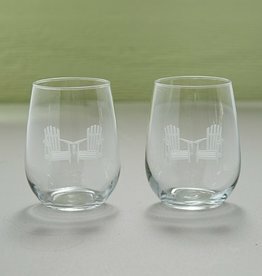 These Adirondack gifts are perfect for any occasion. Raise a glass to the great Adirondack mountains wherever you happen to be! Rolf Glass is an American glass manufacturer located in Western Pennsylvania that creates high quality glassware for everyday use. Owned and operated by a third generation glass maker, Rolf Glass is recognized for their quirky designs and contemporary glass products like these decorative drinking glasses. These 14 oz. 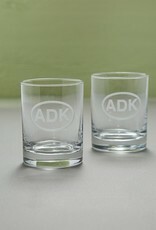 decorative drinking glasses emblazoned with the ADK are sold in sets of 2.